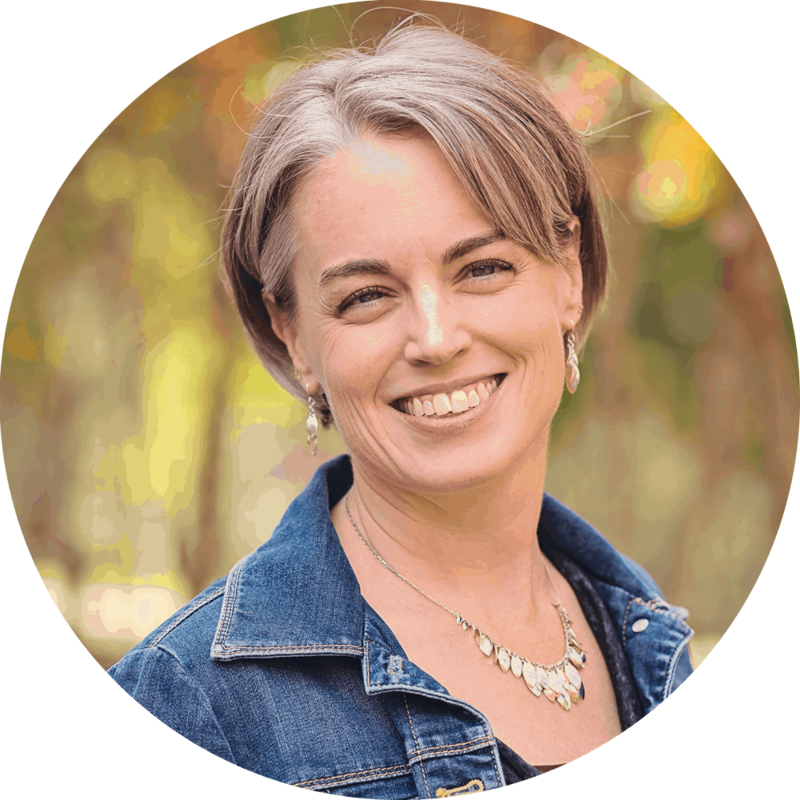 My mother-in-law, Sherry Cantrell, is back on the podcast today sharing her perspective on homeschooling. 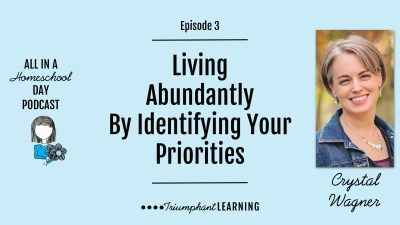 This episode is a refreshing reminder that you won’t always see the results of your efforts right away, but hang in there because what you are doing is worth it and beneficial. Sherry Cantrell shares how you can be involved in your grandchild’s homeschool education, even if you live out-of-state, and ways you can support your homeschooling children and grandchildren. 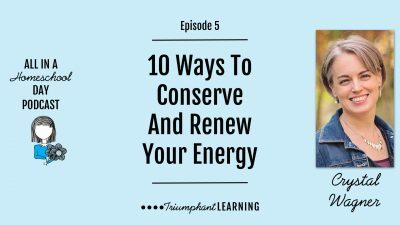 This episode will be refreshing for a homeschool mom’s soul as well as an encouragement for homeschool grandparents wanting to be involved in their grandchildren’s education. Many of our decisions and struggles stem from a response to fear, guilt, or shame. Learn how you can turn the tables and break their stranglehold on your homeschool. Hear how I applied a three-step process to overcome my fears, guilt, and shame with real examples from my homeschool. As you prepare to start a new homeschool year, it is important to keep in mind that homeschooling is more like a marathon than a sprint. It requires a mindset of going the distance so you don’t burn out and give up. 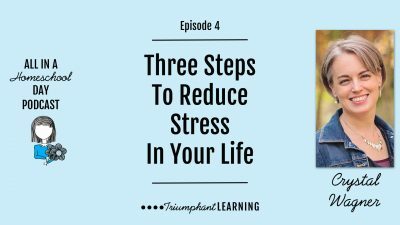 In this podcast, I share the four things I keep in mind when we start a new homeschool year to help me stay strong and avoid burnout. Often as homeschool moms, it is easy to get caught up in making everything just right and eliminate all possible problems. Instead, Kerri Bazzell, a homeschool mom of three, reminds us that sometimes the journey is part of the lesson we need to learn. 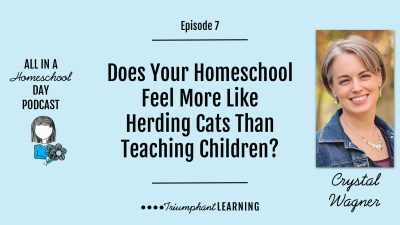 AHD 007: Does Your Homeschool Feel More Like Herding Cats Than Teaching Children? It’s difficult to accomplish anything in your homeschool when it feels like you are herding cats and no one is heading in the right direction. 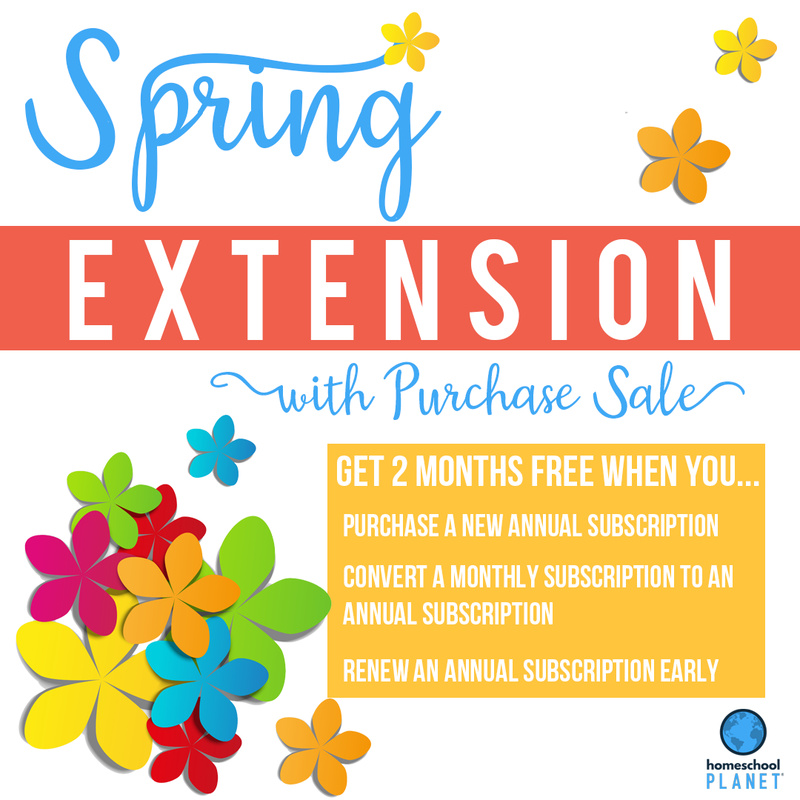 In this episode, you will hear about six things that help our homeschool stay on track. Have you noticed homeschooling often feels like being in a refiner’s fire? Instead of allowing this to overwhelm and frustrate you, embrace these moments. In this episode, we are discussing four tips for embracing your time in the homeschool refiner’s fire and how it is beneficial in the long run. There are weeks that are busier than others and you just cannot be home enough to get everything done. And yet it is so important that we remember that we need to be home in order to homeschool. In this episode of the All in a Homeschool Day podcast, I discuss why we need to make time to be home to homeschool as well as share some practical tips to help you do just that.